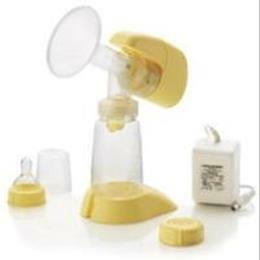 Single Deluxe™ Breastpump Model: 67272 Features and Benefits Easy-to-use, light and portable Adjustable suction control for mom's personal comfort. IMPORTANT: This product is a single user item. Use by more than one user may pose a health risk, performance questions, and voids the warranty. All parts that come into contact with breastmilk are BPA-free.